The Greatest Ever! As a boy, young George Ruth was always getting into trouble. Sent to reform school when his parents could no longer handle him, he seemed destined for a short, unhappy life. But then he learned to play baseball, and went on to play the game better than anyone else has, before or since. 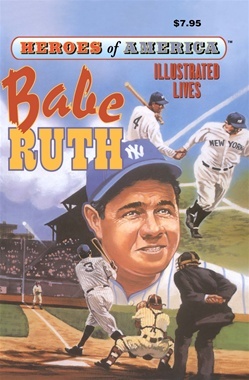 As Babe Ruth he became the idol of millions of people. But the boy from the streets of Baltimore never lost the common touch. All his life he worked hard, played hard, and never forgot the fans who loved him. In a golden age, Babe Ruth was the brightest star of all.